Just another sign of Africa’s growing potential and financial power, business schools from the United State and Europe, are building campuses and actively seeking-recruiting African students. With low growth in their home markets due to over saturation and fierce competition in Asia, the only growth market is in Africa. Universitá Cattolica del Sacro Cuore launched MBA program in Nairobi, Kenya in 2011, expanding to Accra, Ghana last year. They will be opening new program in Sierra Leone in the coming few months. U.S. based Webster University recently opened location this March in Accra, Ghana, after investing more than $3 million. “The business opportunity is huge” says president and chief executive officer of Germany’s Frankfurt School of Finance & Management. The school started masters degree in micro finance and MBA program with the Université Protestante au Congo. Duke University opened branch in South Africa in 2007. China Europe International Business School created program for women entrepreneurs in Ghana in 2012, which it expanded to Nigeria in 2013 and began in Kenya this year. In July, Ivory Coast signed agreement with Paris based HEC to lead programs for hundreds of public and private sector executives. As Africa grows, especially in the business sector, the need for experienced, qualified middle managers and corporate strategists will increase. These schools are looking to fill a coming growing need. In partnership with French based technology company Alcatel-Lucent, Surfline Communications is developing first high speed 4G data network for Ghana. Over $100 million so far has been invested in building out the network that is currently in the capital and port city of Tema. Plans are to expand throughout the country in coming months and few years. Fast data networks such as these are becoming more crucial especially in e-commerce, investing, business, security and education. Chinese Premier Li Keqiang arrived in Ethiopia Sunday for the start of a four nation Africa tour (Nigeria, Angola and Kenya), his first visit to the continent since assuming his position a little over a year ago. Both nations signed 16 deals total which included legal accords covering diplomatic visa exemptions, cultural corporation and extradition, agreements on economic, trade and technical cooperation, loans and cooperation agreements for the construction of roads and industrial zones. Chinese firms have invested heavily in Ethiopia in recent years with their worth swelling well over $1 billion in 2014, according to official figures. 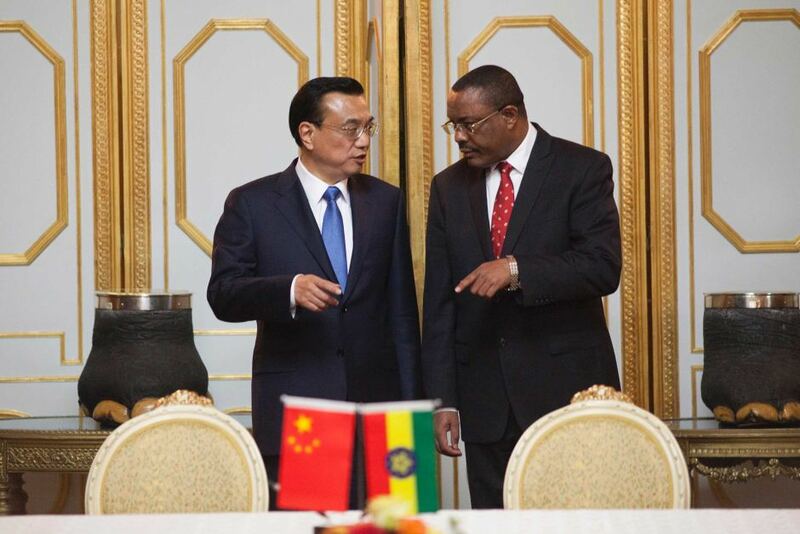 Beijing is also a key partner in Ethiopia’s bid to expand infrastructure such as roads, railways and telecom services. Huawei Technologies Co Ltd – the world’s second largest telecom equipment maker – and ZTE Corp are working to introduce a high-speed 4G broadband network in the Ethiopian capital Addis Ababa and a 3G service throughout the country. Officials said both firms have now signed an $80 million deal to lay optical ground cables to form a nationwide network. This is the second major high level visit to Ethiopia after last years visit by President Xi Jinping.